We understand that it is important to be clear about what we do and the value that we add to a project at every stage. We always ensure that our client’s requirements are carefully assessed at the outset to determine and agree the scope of our services required, and we understand the importance of being flexible and responsive as a project progresses. Most of the projects can be broken down into six identifiable stages, each stage being seen as a two-way creative process between Figgoscope and the client. It is not necessary for all stages to be followed, however we strongly advise you to engage with Figgoscope throughout the project to save time, money and obtain the best result. If, having looked through our website, seen our designs or been referred from previous clients, you are interested in talking to Figgoscope about your project, please call us to discuss your requirements and we can arrange to meet you for a consultation at the prospective site to discuss your ideas. It is usually essential to visit the property to highlight any obvious planning or design constraints as well as potential opportunities. We shall build a initial 'clients' brief' by talking through your requirements, wish lists, likes and dislikes and budget. We will also ask you to answer a short questionnaire to help us understand how you live and your goals for the project. This is then summarised in a clearly laid out fee proposal, outlining stage (or stages where Figgoscope will have involvement), timescale, costs, which we require a formal signed and returned document to proceed with the commission. Once the Client and Figgoscope Agreement is signed, the project begins. At the second stage of the process, a site survey of the existing property is commissioned to a surveyor or undertaken by us. All accurate information about the site and its context is gathered: site conditions and constraints are assessed and local authority's regulations are investigated. Figgoscope will conduct and a photographic survey of the site and adjacent context. Computer generated existing plan, streetscape elevations, site context is produced based on surveyors and client measurements. In case of internal renovation, Figgoscope will conduct the site survey, followed by preparing a computer generated plans and internal elevations of existing. At the start of stage 2, a site survey of the existing property is commissioned to a surveyor or undertaken by us; site conditions and constraints are assessed and local authority's regulations are investigated. During the concept stage, a number of design options are explored to meet your brief and an evaluated estimation of costs is prepared for each one. These are presented to you in the form of free-hand sketched perspectives, simple 3D visualisations, diagrams, mood images, and other collated information to adequately explain the concept, along with preliminary materials and finishes. At this stage we may also require input from any required consultants - i.e. Structural Engineer, Hydraulic Engineer, Planning Consultant, Energy Rating Consultancy, etc). Finally, a revised estimate of the Cost of Works is coordinated and client approval for the concept design and budget are obtained before proceeding to the next stage. By this time we will have the information you need to make an informed decision about the best way forward for you. At this stage the schematic design from the previous stage is refined and fully detailed to meet your requirements. We finalise 'the look' of the project, including integration of structural design and all of the materials and finishes to be used. Documents are presented to you to adequately explain the developed design and the approved concept design drawings are translated over to scaled CAD-based drawings, detailing the proposal's full design, layout and appearance. 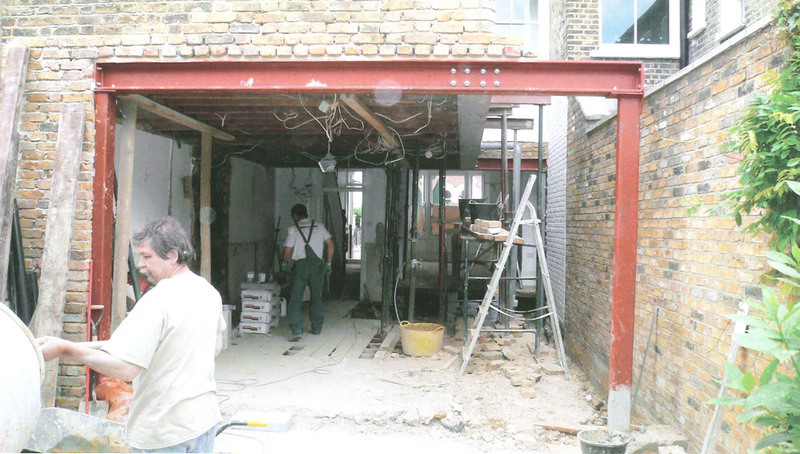 Demolition plans and elevations of the existing property are also produced at this stage. We highly recommend that any major changes are made at this early stage, as later amendments necessitate complex adjustment of the working drawings and can conflict with town planning permission, requiring additional planning applications. As necessary the work of other Specialist Consultants will be coordinated by Figgosope to assist in the development of your design. Where structural changes are planned, a structural engineer is required to take calculations and structural drawings. Sometimes this involvement might be necessary in the early stage of the project - CONCEPT STAGE - specially when the structure compromises the design decisions. The estimates at this stage will be a more accurate guide as to what the project may cost. Again, the design is then reviewed against the Cost of Works budget and the client might consider the inclusion of professional costing advice from a Quantity Surveyor or Builder. When required, we can produce a full set of planning drawings and lodge an application for a Planning Permit to the local Council. This will be dependent on your site’s area and whether there are any Planning Overlays, which apply to buildings listed in a Heritage Zone. Typically, this will be confirmed at the pre-design stage. For Planning Approval we can write supporting design and access statements (Site Analysis and a Design Response), complete the forms and other paperwork and we are available to speak with the planning officer during the application process to give your application the best chance of success. The Construction Documentation stage provides detailed documentation of all the important construction details required by a builder to achieve the intent of the design. 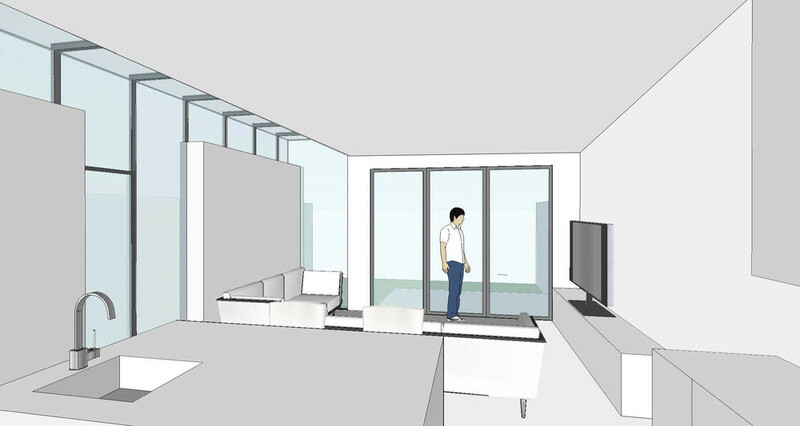 It includes technical design drawings that will show how the extension or new build is to be constructed, the materials to be used and the layout of plumbing, lighting and power. A "Specification" document is also produced to ensure that the construction finishes meet the standards of quality that the client requires. The type of finish can dramatically change building costs, so without this detail it is not possible to cost the finishing of the building. The "Specification" is an important guide for tradespeople for it defines the quality and extent of work required and the Prime Cost items that need to be acquired by the tradesperson or the owner. Our services can also include detailed interior design drawings and plans such as precise kitchen and bathroom designs and specifications, associated built-in cabinets with large scale schematics for cabinet work, the selection of kitchen and wet area fixtures and fittings, finishes schedules, colour schemes and all other bespoke interior architectural details. At this stage the structural and other secondary consultant documentation is also reviewed and co-ordinated. The drawings are then prepared, addressing all aspects of the detail of design compliance with BCA (building regulations) to obtain a Building Permit with the council or private Building Surveyor. Documentation that is submitted includes the full set of working drawings, your energy rating report and structural engineering reports and certification. A pre-tender estimate of Costs is prepared and before proceeding with the next stage your approvals are obtained. In some instances clients will take the construction documentation and ask preferred contractors to cost the project or even tender the work themselves. FIGGOSCOPE can provide a tailored stage 7 to suit the client or simply provide advice. We would typically recommend tendering the project to a minimum of three contractors and working along side experienced quantity surveyors can compille all the tender and contract documents and regularly work alongside many contractors, suppliers and installers. Whilst formal contract administration can be provided, we can provide periodic site supervision and technical assistance towards the complition when final inspection can be undertaken.